Home / Crime / News / Romance / (Photo) Man kills his girlfriend in Jos for not spending Valentine with him. 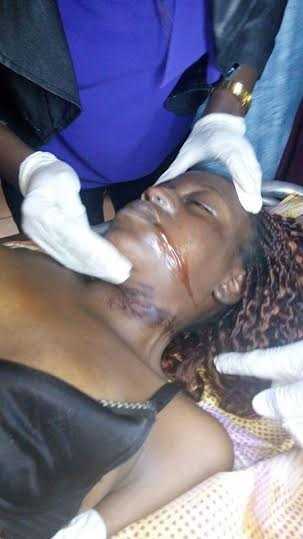 (Photo) Man kills his girlfriend in Jos for not spending Valentine with him. "!Dele and Nanchin were in a four year relationship. They both grew up in Fudawa area of Jos. Dele is highly temperamental, he beats her after every provocation despite the fact that she was the one that feeds him most times. In December last year, she told him she wants to quit but he refused. He was still coming. . . On Valentines day, he expected them to be together but she went out without him. This made him angry and infuriated. He waited until 11 pm but she refused to come back knowing fully well that he will beat her as usual. As early as 7am, he was in her house in Tina Junction. After eating breakfast, it was her dead body that was found when he left her house. I pray you, your relatives, and your family member never experience such Amen"